A study published in the journal Cancer Research revealed a new, accurate, non-invasive and highly sensitive imaging technique for screening lymph nodes for the presence of metastatic cancer. The work was conducted by researchers at The University of Texas at Austin and The University of Texas MD Anderson Cancer Center, and funded by the National Institute of Biomedical Imaging and Bioengineering (NIBIB). The study is entitled “Sentinel Lymph Node Biopsy Revisited: Ultrasound-Guided Photoacoustic Detection of Micrometastases Using Molecularly Targeted Plasmonic Nanosensors”. Metastases are responsible for more than 90% of all cancer deaths, either directly or indirectly. Invasive surgical biopsies such as sentinel lymph node biopsy are usually employed in cancer patients to assess tumor spread and whether deadly metastatic cancer cells have invaded the lymph nodes. However, these invasive techniques can cause adverse effects like pain, numbness, swelling and a higher risk of infection in hundreds of thousands of cancer patients. Non-invasive imaging techniques like magnetic resonance imaging (MRI) and positron emission tomography (PET) have been evaluated with the goal of improving the safety and accuracy of lymph node biopsies. However, these techniques lack in sensitivity and specificity in comparison to invasive lymph node biopsy. Researchers have now developed a new, effective, non-invasive imaging tool to identify small numbers of metastatic cells, known as micrometastases, in lymph nodes in early stages so that a timely treatment can be provided. This technology combines a sensitive optical imaging system with the ultrasound’s ability to provide a clear resolution. It is based on a molecularly activated plasmonic nanosensor (MAPS) that includes a gold nanoparticle, which is detected by the imaging system, and an antibody against the epidermal growth factor receptor (EGFR). EGFR is abnormally highly expressed on the surface of several cancer cells including lung, cervix and oral cavity. Through the anti-EGFR antibody, MAPS can recognize the metastatic cells, which are then detected through the gold nanoparticle bound to it using an ultrasound-guided spectroscopic photoacoustic (sPA) imaging system. The team tested its system in a mouse model of oral cancer. The animals were injected with the EGFR-targeted MAPS, and submitted to imaging using the sPA system. Researchers reported that MAPS bound specifically to metastatic cells present in the lymph nodes close to the oral cavity tumor, and that these could be accurately detected with the sPA imaging system. The technique was found to have a sensitivity of 100% and a specificity of 87% for lymph node micrometastases detection. “This combination greatly improves sensitivity and specificity of detection of cancerous cells in lymph nodes as compared to any other imaging modality in use today,” said one of the study’s senior authors, Dr. Konstantin Sokolov in a news release. “Our method has a great potential to provide dramatic improvement in the clinical staging, prognosis, and therapeutic planning for cancer patients with metastatic disease without the need for invasive surgical biopsy,” added the other study’s senior author Dr. Stanislav Emelianov. 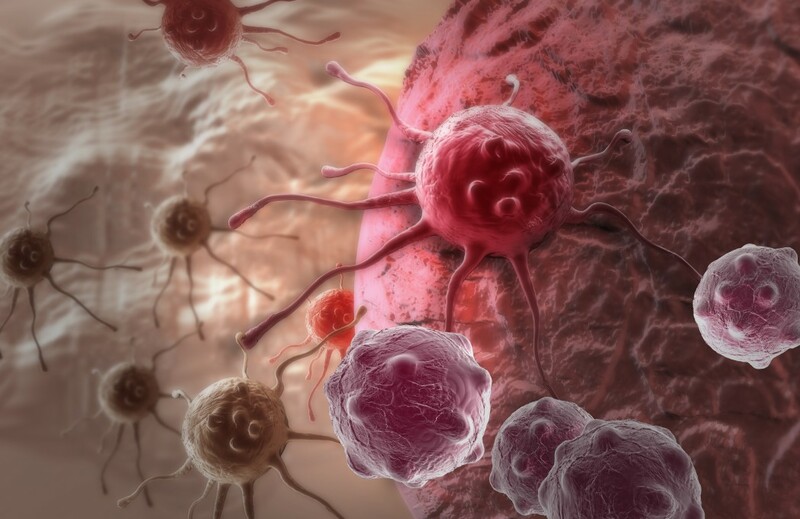 “This work is an excellent example of the development of a cutting edge technology that works very well in an experimental system but also has great potential to change the way we monitor and diagnose cancer metastasis. Identifying the accumulation of cells early in the process with some molecular characterization offers the opportunity for more targeted and effective treatment and fewer side effects.” concluded the Director of the NIBIB Program in Molecular Imaging Dr. Richard Conroy. The technique has only been tested in mice, but the research team plans to evaluate it in humans. To make the system more safe and functional, though, assessments need to be performed, namely identifying the ultrasound frequencies that can effectively penetrate the depths that would be needed in humans, and address the potential toxicity of gold nanoparticles.